AUBURN, Calif. — Aiming to help make voting more convenient for voters with disabilities, Placer County is providing a new voting service for the Nov. 6 general election. The remotely-accessible vote-by-mail system, called OmniBallot, allows for voters who cannot vote using a paper mail ballot due to a disability to access and mark their ballot using their home computers. “Vote by mail is the most frequently requested method of voting in Placer County, which is terrific for most of our voters,” said Placer County Clerk-Recorder-Registrar of Voters Ryan Ronco. “However, for voters who might have difficulty holding, marking or seeing their ballot due to disabilities, a paper ballot simply does not work. This system provides voters with disabilities an option of voting by mail just like everyone else.” The new service will be made available early to blind and disabled community members in Placer County, ahead of a new law enacted by the California legislature effective Jan. 1. Hoping to alleviate cybersecurity concerns, Ronco points out that the system is not “internet” voting. “This remote system does not create a new method for cyberattacks or intrusion into our systems, Ronco said. “Although the accessible ballot is delivered electronically, the voter still prints a paper ballot to be returned with their signature. This system is in no way internet voting.” The OmniBallot system, developed by Seattle-based Democracy Live, was certified by the California Secretary of State to comply with all state and federal accessibility laws. The new remote voting system was made available to Placer County through a grant at no county expense. Voters can access the OmniBallot system online at https://sites.omniballot.us/06061/app/home The Placer County Elections Office will be open Monday to Friday from 8 a.m. – 5 p.m., and Saturday and Sunday from 9 a.m. – 4 p.m. for early voting, to answer questions and to serve Placer County voters. 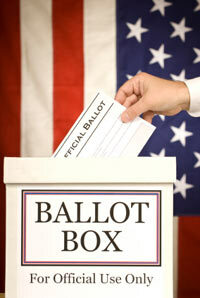 “We urge our voters to return their vote-by-mail ballots now,” said Placer County Elections Manager Philip Chantri. “Placer County residents can use one of our 14 drop boxes located throughout the county to return their ballots without the need for postage.” Drop box locations are available online at https://placerelections.com/drop-box-locations.